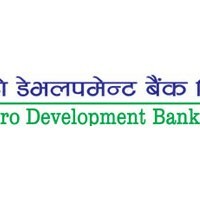 Metro Development Bank limited is established to provide financial support to different productive and needy sectors by collecting the small and large savings all around the country for the overall development of the nation under the free economy policy of the Nepal government. They are the development bank of Pokhara having head office in New Road and “KHA” class institution licensed by Nepal Rastra Bank. Metro Development Bank is promoted by renowned businessman, industrialists, social workers and professionals. They are 75th development bank of the nation promoted by 86 professional youths from different part of the country including Pokhara, Kathmandu, Myagdi, Baglung, and Gorkha. 3 ) Increase employment opportunities developing productive sector with the help of provided manpower, skills and fund. 5 ) Help to increase the reliability in the banking sector for general public. 6 ) Increase accessibility of general public in banking. By the co-operation and mutual help of the entrepreneurs, organizations and the community, they ensure to provide secure, reliable, promising banking services with attractive benefits with real time technology. To be a successful development bank by the use of local resources and providing reliable service.